Gutter extensions (also called downspout extensions) are an attachment installed at the end of a downspout to help channel rainwater away from a home. A rain gutter system is designed to collect and divert rainwater so that it doesn’t cause damage to your roof, siding, foundation and landscape. But there are cases where the water can’t drain away once it comes out the downspout, and instead pools around the base of your home. Pooling water can lead to the erosion of your lawns and flowerbeds, flooding of the basement and crawlspaces, and even cause cracks in your foundation. The extra moisture can also create mold and mildew problems throughout the rest of the house. Your area frequently gets large amounts of rain. The contractor did not properly grade the land around the home. Your basement is damp or floods. Flexible. These corrugated plastic pipes are bendable to direct water where it needs to go, such as around bushes. Adapters can be purchased to connect standard flexible drainage pipes to your downspout for extra-long gutter extensions. Perforated drainage pipes can also be used to distribute rainwater evenly over areas you need to water. Roll-out. Roll-out extensions automatically roll out when it rains and coil up when water stops coming out of the downspout. The disadvantage of this type of extension is that it might not extend if the rainfall isn’t heavy enough. Flip-up. These extensions are a section of downspout with a hinge attached so they can be flipped up and out of the way when they aren’t needed. They are convenient when you need to mow the lawn close to your home without damaging the extension. Some homeowners may need systems more elaborate than splash blocks and gutter extensions to deal with rainwater. You can choose to have your gutters extended down into an underground drainage system or dry well, or even collect the water in a rainwater catchment system for later use. No matter which rainwater management system you use, Gutter Helmet can help keep it clog-free and in good shape, even through the worst rains. 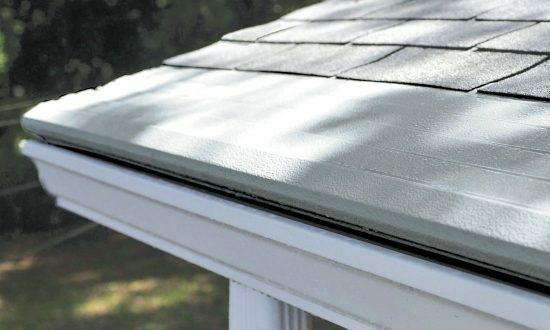 To learn more about other types of gutter extensions, read Gutter Downspout Extensions 5 Best-Reviewed Products or get in touch with your local Gutter Helmet dealer. If you’d like to schedule a free in-home consultation with one of our sales representatives, call (800) 824-3772 or fill out our contact form today.